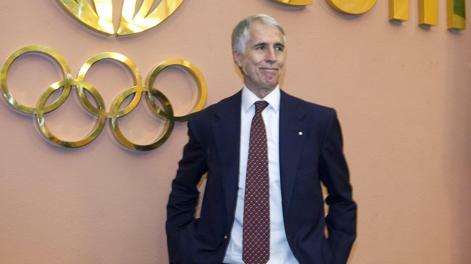 August 7 - Giovanni Malagò, President of the Italian National Olympic Committee (CONI), has suggested that Rome may still enter the race to host the 2024 Olympics and Paralympics. Despite having to drop its bid for the 2020 Games when then Prime Minister Mario Monti said the Italian Government would not provide financial backing for the $12.5 billion (£8.1 billion/€9.4 billion) project in February last year, Malagò (pictured top) has claimed anything is possible. He used the World Aquatics Championships silver medal won by Federica Pellegrini in Barcelona last month - the swimmer had not planned to defend the 200 metres freestyle world title she won in 2009 and 2011 - as an example. "I did not expect the silver from Federica...but when she said 'I'm going', I realised that anything might happen," Malagò told Gazzetta dello Sport. He added that with the right support Italy could also surprise by hosting the Olympics and Paralympics. Despite admitting that there must be "attention on the expenditure side", Malagò suggested that things have changed since the times of their abandoned 2020 bid and explained that Finance Minister Fabrizio Saccomanni has said hosting major sports events is now possible. He also claims to have the support of Regional Affairs Minister Graziano Delrio, who has Cabinet responsibilities for sport. Malagò is likely to make a decision on a Rome 2024 bid after the International Olympic Committee (IOC) has awarded the 2020 Games hosting rights to Tokyo, Istanbul or Madrid at its session in Buenos Aires next month. Rome last hosted the Summer Olympics in 1960.